Music Folder Icons – 89 folder icons with music symbols to organize your music projects and audio collections. Music Folder Icons pack has 89 folder icons with music symbols. Whether you are a professional musician or you just have a large audio collection, you understand how hard it is to keep files in order. It's important to have a clear structure and follow the strict naming rules; otherwise, you will easily get lost in the mass of identical-looking yellow folders. Music Folder Icons is a pack of icons for a musician or composer for easy and convenient management of working folders; and for a music lover, it's easier than ever to sort their audio library. Mark your important folders with a bright musical icon from the pack, and it will be much easier to find the necessary folder with just a glance. This speeds up searching for the right file and creates a sense of order. 12 icons symbolizing organizational activity in the music sphere. They are designed in Vista style, but are suitable for use on Windows XP, 2003, Vista, 7, 8, 8.1 and Windows 10. The icons look good in all sizes. All 89 icons are created manually by a professional icon designer. That is why they are so clearly distinguishable even in the smallest sizes, like 13X13. All icons are well thought out and created in one style. All icons of the Music Folder Icons pack are already designed for you and your field of activity. This means that you do not need to waste your time manually selecting images from the Internet. All icons are created in one style and harmonize with each other. How do you use the Music Folder Icons? 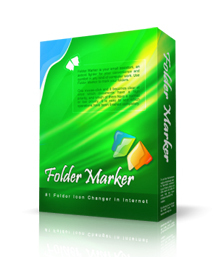 This pack can be used both independently and in tandem with a special Folder Marker program, which reduces the process of changing folders to two clicks. It also has many additional built-in icons. by type of information stored inside (work, important, temporary or personal files). 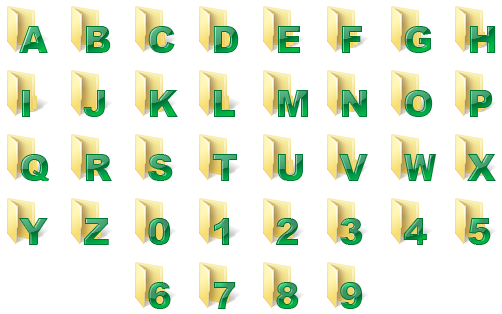 You can backup the marked folders, transfer them to another computer or disk, and use a number of other functions. You can expand your collection of icons over time and add new packs to it. For example, you can use a pack with numbers and dates to arrange albums by their release dates. Start marking your folders and see how easy it is. Good luck in your musical career!